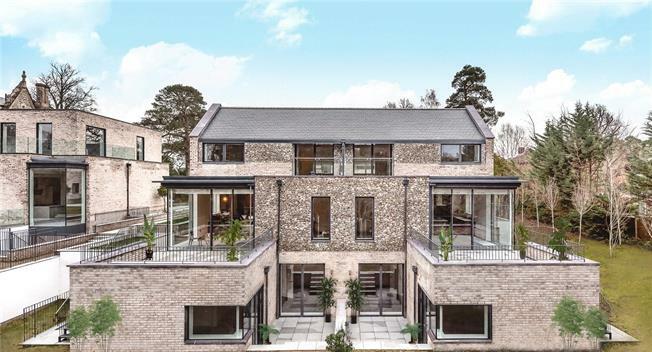 4 Bedroom Mews House For Sale in Keston for Asking Price £1,775,000. Ravensbourne is an historic Manor House positioned alongside Keston Ponds, in extensive private grounds. The house and grounds have been thoughtfully transformed into seven luxury manor apartments and four townhouses. The apartments and houses all feature wonderful private outdoor terraces and garden space as well as dedicated underground parking, with over 14,000 sq ft. of private amenity for the owners in addition to nearly 3 acres of gardens. Being designed with the utmost care, the apartments benefit from a superb specification such as bespoke kitchens with marble work surfaces, bespoke bathrooms and en suites and underfloor heating throughout. Locally, the area is extremely popular offering a 17 minute train journey to London Victoria from Bromley South. With Hayes and Orpington stations only a few miles away, fast trains are available to Cannon Street, Charing Cross as well as Victoria. The Keston Ponds location is highly sought after, being surrounded by quiet, tree lined roads, large detached properties and the private gated estates of Keston Park and Farnborough Park. The village of Keston boasts a post office, several village shops and three popular pubs. Keston Common is popular for dog walking and the surrounding area benefits from several golf courses. Several popular schools are situated in the wider local area.